UPDATE: YOU CAN VIEW THE WEBINAR UNTIL JUNE 2016: CLICK HERE TO SEE IT! 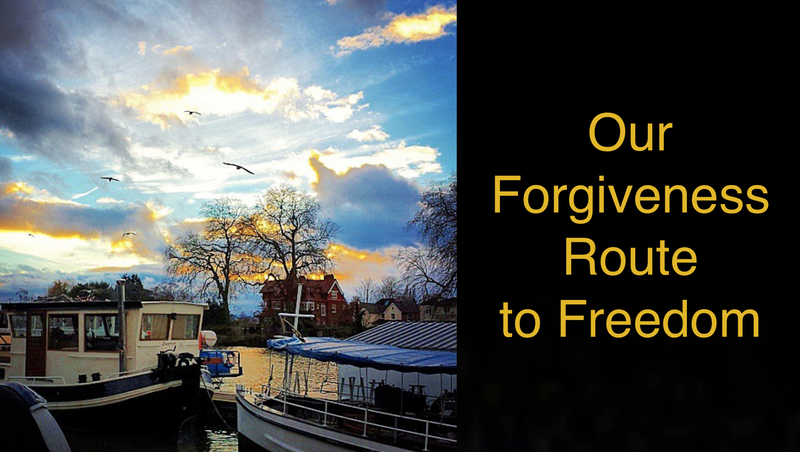 You are invited to join me for a free webinar on Tuesday, May 5, at 7:30pm (EST) to discuss Our Forgiveness Route To Freedom. For further information visit the Facebook event page or click on the event page of the sponsoring church, First Church of Christ, Scientist, Jenkintown, PA, USA. Please register for the webinar by clicking here and signing up just below the video. In case you haven’t come across it through other channels, I have recorded a new 2 minute Your Daily Lift podcast on Loving those awkward neighbours. So looking forward to this webinar. Yes. So many are looking for how to forgive when something bad happened or when we were treated poorly by a parent or even our own church. Some say “I can’t” or “It’s too hard”. I hear this all the time. How do you define “forgiveness” from a metaphysical perspective. Forgive and forget only fosters resentment and can postpone healing? The thought of separating the “error” from the person who did it and then seeing the person’s pure spiritual identity is the closest thought to bringing me the ‘willingness’ to forgive. I understand that without forgiveness it is “like trying to move a parked car” as stated in an article by Marion English on JSH Online. I would also like to see some specific examples of serious injustices where people were able to forgive in your webinar. Oprah did a great job in the following video below. I even saw a benefit from her definition but it seemed to lack a so-called metaphysical element. Perhaps forgiving is the right thing to do based on “Principle” or “Thy Will Be Done” to set yourself free. I believe the key is to be freeeeeeeeeeeee to be freeeeeeeeeeeeeeee. Perhaps your next webinar could be on the topic of HOPE. What is it and how do you find it in the heart of darkness? Why is HOPE so important? As a crisis intervention and suicide prevention counselor for youth I found HOPE to be the major weapon against suicide. Faith and spirituality is an unobstructed path to HOPE. Here is one more great example over the importance of forgiving and letting go of the past to set yourself free. See trailer at end of review. Born to a 17-year-old single woman in prison, two months after his biological father was killed by an ex-girlfriend, Fisher was placed in foster care with the Reverend Tate and his wife for most of his childhood and adolescence. “Twonny,” as he was called, was beaten and belittled by his foster mother, and sexually abused by a babysitter. Feeling abandoned by everyone who might have shown him love, he retreated into his imagination. He dreamed of a loving family and lots of food—especially pancakes. Davenport becomes Fisher’s surrogate father, telling him he’ll never be entirely free of his anger until he confronts his past—which means going to Cleveland and finding his birth family. Meanwhile, Fisher’s anger and emotional withdrawal have healed sufficiently to let Cheryl, another sailor, into his life. The two go to Cleveland, where Fisher pursues his dream of being surrounded by family and good food. greatly appreciate the quote and interpretation that we must have an utterly forgiving nature.